Did you know that Fort Wayne is nationally known as an up and coming hipster hot spot? People of all ages are moving to Fort Wayne, Indiana to take advantage of the low cost of living and revitalized downtown district. Fort Wayne offers plenty to do all year round for every age group. From toddlers to senior citizens, every age group will find something fun to do in Fort Wayne, even in the cold winter months. You might be tempted to spend this cold Indiana winter hibernating in your apartment, but then you would miss out on some of the best Fort Wayne has to offer. Keep reading for a list of the top 5 winter activities in Fort Wayne and kick start your winter fun. Headwaters Park in downtown Fort Wayne offers activities for all ages throughout the year. In the winter, Headwaters Park opens an ice skating rink that is a local favorite for a reason. The rink is open from November to March and offers free parking. According to the park’s website, kids ages 13 and under skate for free every Wednesday. 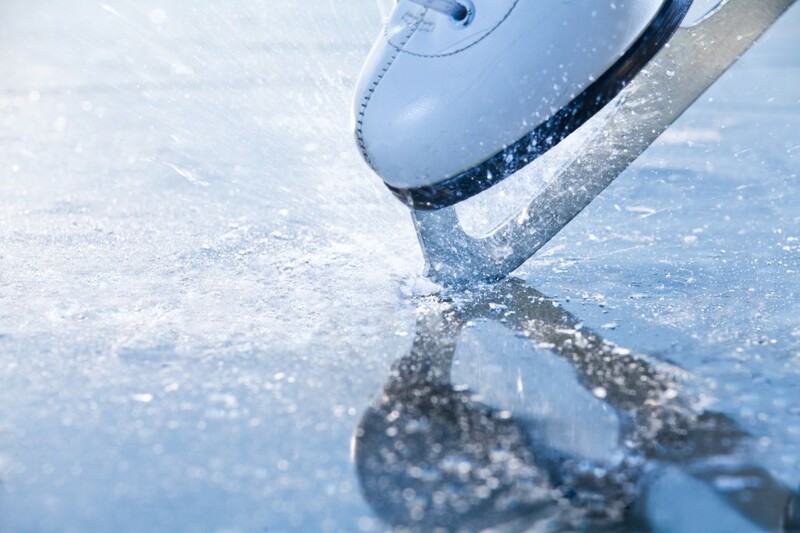 Lace up your skates or rent a pair for just $2 and hit the ice! What better way to enjoy the winter weather than by going sledding? Franke Park in Fort Wayne, Indiana offers free sledding. Locals love the location because of the variety of hills. Adults and children alike can enjoy a simple snow day at no cost. The park also features a playground, hiking trails, and biking trails. There really is something for everyone. Are indoor activities more your cup of tea? Then you and your family should check out SkyZone, an indoor trampoline park and so much more. A huge hit since its opening, SkyZone offers activities for children of different ages including dodge-ball, free-jump, the sky-ladder, and more. Plan ahead and save time by purchasing tickets and signing waivers in advance on their website. Children and adults alike are sure to enjoy watching their hometown NBA G League team, the Fort Wayne Mad Ants. The Mad Ants play at the Memorial Coliseum and are owned and operated by NBA team the Indiana Pacers. The Mad Ants are in their 10th season and have won their league championship right here in Fort Wayne. Mad Ants tickets begin at just $10. One of the most anticipated events in Fort Wayne is the start of the Komets hockey season. The Komets have been part of the community for over 60 years since their first season in 1952. They play in the ECHL as an affiliate of the NHL’s Colorado Avalanche. Kids under 12 seat free with the purchase of an adult ticket on special nights throughout the season. This list will get you started with 5 awesome winter activities in Fort Wayne, but check out the city calendar for a full list of activities. Don’t waste your winter sitting inside when there are so many things to do in Fort Wayne. For 5 things to do with kids in Fort Wayne, check out this post on our blog. If you’re new to Fort Wayne, these ideas are just for you.